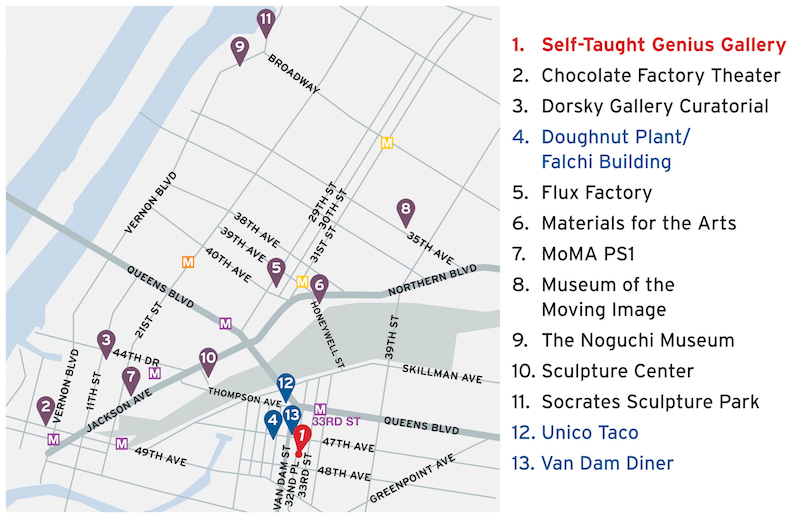 In honor of the Best of the Boroughs: Queens Day celebration at our Lincoln Square location, our Long Island City based Self-Taught Genius Gallery will open its doors for a special tour. Join us as we explore the latest exhibition, New York Experienced, with its curator Steffi Ibis Duarte. 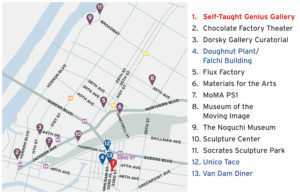 The tour will highlight artworks from the exhibition created in Queens. Image: Our Daily Bread (detail); Louis Monza (1897–1984); Queens, New York; 1946; oil on canvas; 53 x 42 in. ; American Folk Art Museum, gift of Heidi Monza, 1986.18.1. Photo by Gavin Ashworth.